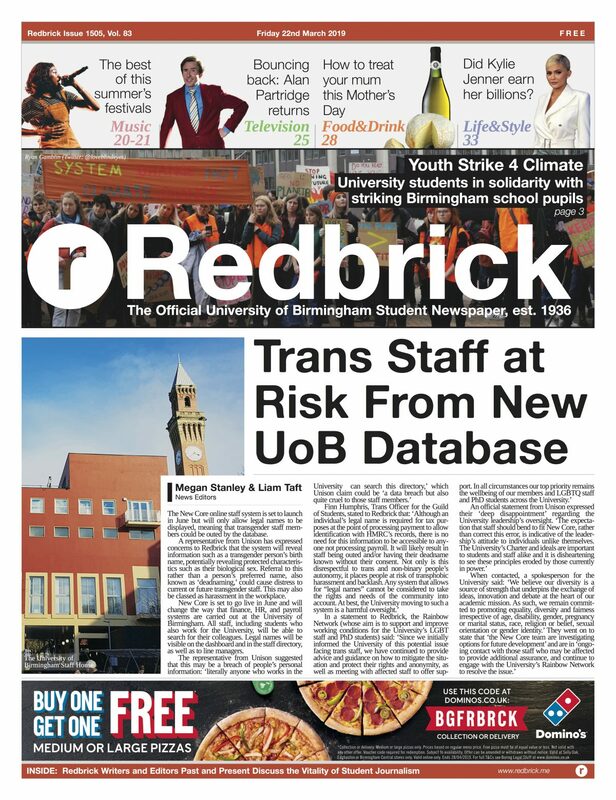 If you decide to stay in Birmingham for the next reading week and find yourself a little bored, then look no further. These places are the perfect excuse for a day trip; with all either close to Birmingham or under an hour away by train, they won’t break the bank but will provide a change of scene. Most are also great places to visit and take work if you fancy something a little different to the library but are also excellent to visit with friends as there is plenty to do. Just under an hour away from Birmingham is Stratford-upon-Avon, the birthplace of Shakespeare and a market town with more than 800 years of history. There is a wide range of things to do including seeing a play at the Royal Shakespeare Company, taking in the Tudor architecture, going on a river tour, or grabbing a cup of tea or a bite to eat at the numerous cafes and restaurants. This is the perfect place to spend a day and take a break from the bustling city and mounting University work. Or, if you’re looking for a change of scene to be more productive, this is the perfect place to spend the afternoon. This is for anyone that is a fan of The Lord of the Rings. J. R. R. Tolkien lived in nine homes in the south of Birmingham and was the place where he drew inspiration for his writing from the people, buildings and landscapes in the city and the surrounding countryside. The trail features 10 different places around Birmingham that supposedly inspired, and featured in, his work, including the University itself. Other notable ones are Perrott’s Folly, a 29-metre tall tower in Edgbaston built in 1758; Sarehole Mill which had an exhibition called Signposts to Middle Earth which details Tolkien’s connections with the area; and The Shire Country Park and Cole Valley which hosts a variety of animals, plants and insects and has a river you can walk by, perfect if you’re looking to escape to the countryside but don’t want to stray too far. Another easily accessible place to visit close to Birmingham is Lichfield. It is most known for being the birthplace of literary figure Samuel Johnson, and there is even a museum there celebrating his life and works with interactive displays and activities. 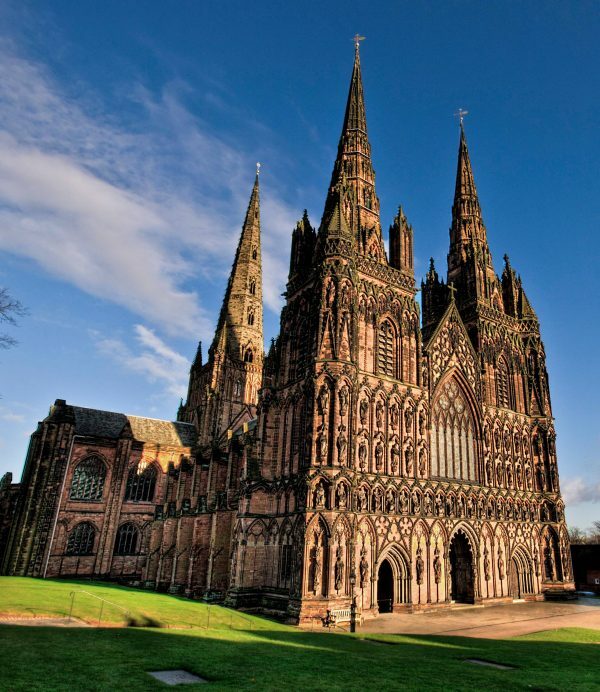 Lichfield also has an Anglo-Saxon cathedral with three spires - perfect Insta-worthy architecture. There is also Beacon Park which has foot golf, a good time to bond with your flatmates, and if you fancy a peaceful walk the Stowe Pool is perfect and also has amazing photo opportunities. It goes without saying there are also plenty of restaurants and cafes; Lichfield would also be great if you wanted a change of scene for the afternoon without straying too far from the city. Only a 30-minute train ride away from Birmingham is Leamington Spa. Bursting with culture, it’s the perfect place to take a day trip. It has beautiful regency architecture, over 60 cafes and restaurants, a wide range of independent shops and plenty of parks, museums and gardens to visit; you may have to do multiple day trips to fit it all in! If the weather is good you can visit the Jephson Gardens, which has a glasshouse with tropical plants and a goldfish pond, a sensory garden and a sculpture collection or visit the River Leam which flows through the town centre - you can hire a rowing boat or go for a walk if you fancy some fresh air. Alternatively, if the weather is bad you can visit the Royal Pump Rooms Art Gallery and Museum, the famous 18th-century healing spa in town or visit the Loft Theatre and catch a show. If you have a car, Warwick Castle is close to Leamington Spa and is often referred to as Britain’s greatest medieval experience. You can catch a tour and see the towers and dungeons and then visit the Rose Garden and 60 acres of ground that surrounds the castle if you want to explore. These trips should hopefully keep you entertained during reading week. All are the perfect excuse to get a change of scenery away from the city and most offer a little taste of the countryside without breaking the bank.